I think I’ve said this before, but my friend bought some Vietnamese coffee for me a couple of months back and after baking this cake, I still have some left in my pantry. Since I don’t really drink coffee (but I’m mad over coffee baked goods, weird I know), I decided to use them to make a batch of cupcakes. 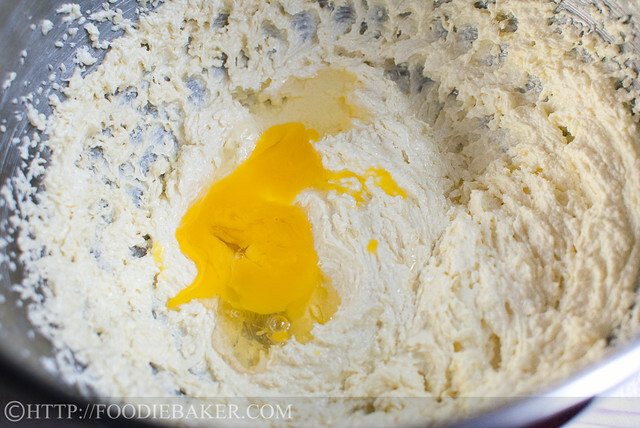 I’ve been baking with so many oil-based cakes lately that I’ve not touched my electric mixer for quite some time! 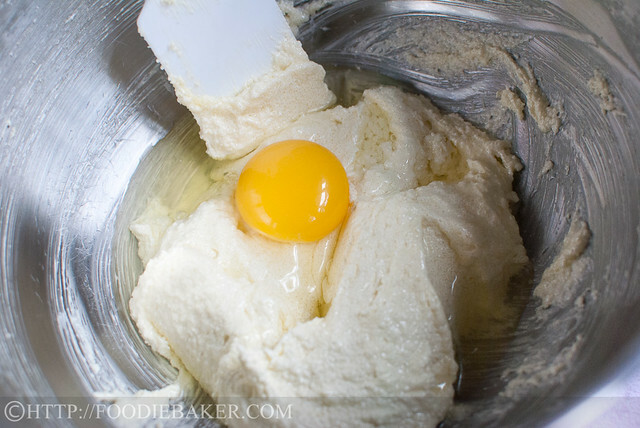 (Most of the time my oil-based cakes are made using just a whisk a wooden spoon) It feels good to hear the mixer making noise again, creaming the butter, sugar, eggs and flour together into a lovely creaminess. My friend got me instant Vietnamese coffee powder, which worked really well in these cupcakes as the coffee flavour is really intense. The cupcakes are denser (but not too overly heavy) and a lot richer than those oil-based cakes. They are soft and not too crumbly, with the strong coffee taste oozing with each and every bite. Buttercream frostings are never really my favourite as I’ve always found that they need a lot of icing sugar in order to get a nice piping consistency, which often led to the frosting to be too sweet to swallow. I thought that with the addition of coffee, the sweetness will be toned down, but that’s not really the case. Luckily the cake wasn’t very sweet so the two still complemented each other pretty well. I guess I’ll stick to my flour frosting the next time. Such a perfect treat for afternoon tea! 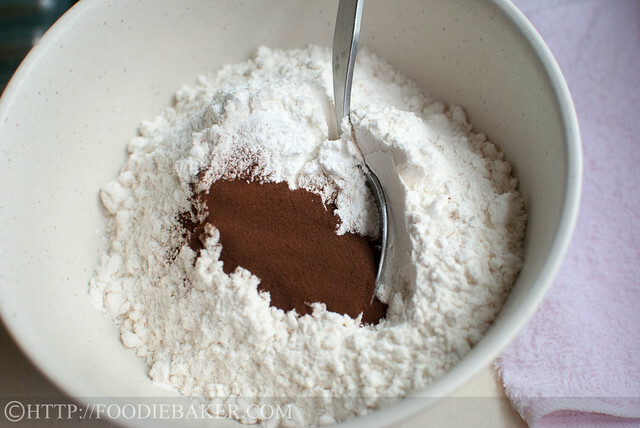 Combine flour, baking powder, salt and coffee powder in a small bowl. 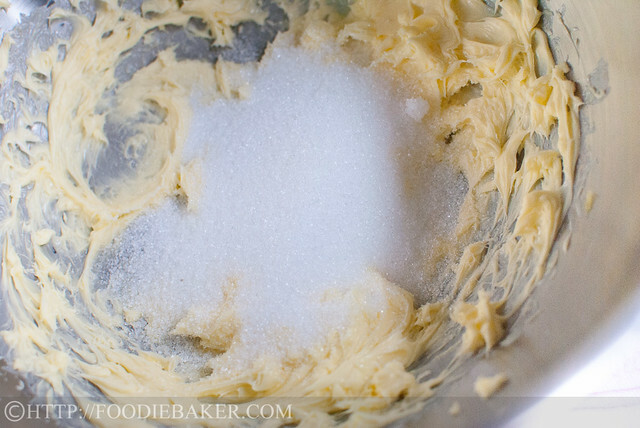 One of butter’s best friend – sugar! And then the second one. Alternate the flour mixture with the coffee mixture. Slowly drizzle it in… mmm! They’ll go into the cupcake liners. The extras will go into my belly which will be reflected in my tummy. They’re kind of “hole-y” but it’s okay, we’re going to cover them up with some frosting. 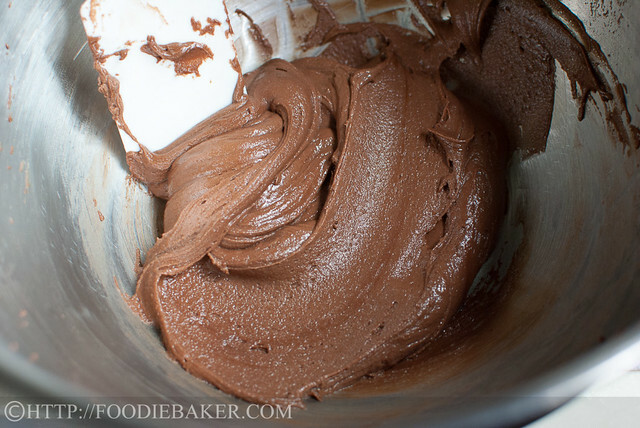 Mocha frosting, to be exact! Cream butter, icing sugar, cocoa powder and some coffee until light and fluffy. Preheat the oven to 175 degrees Celsius. 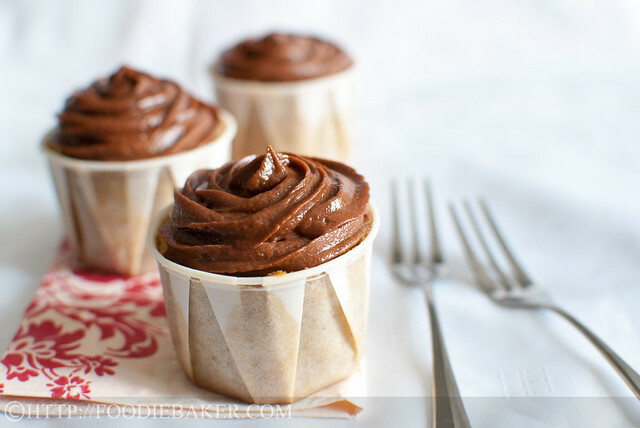 Line cupcake liners in a muffin tin or on a baking sheet. 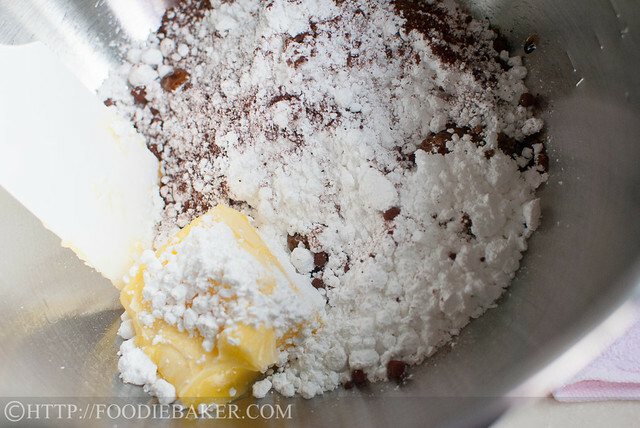 Whisk flour, baking powder, salt and instant coffee together in a small bowl. Set aside. Combine the cooled coffee and milk in a small cup and set aside. 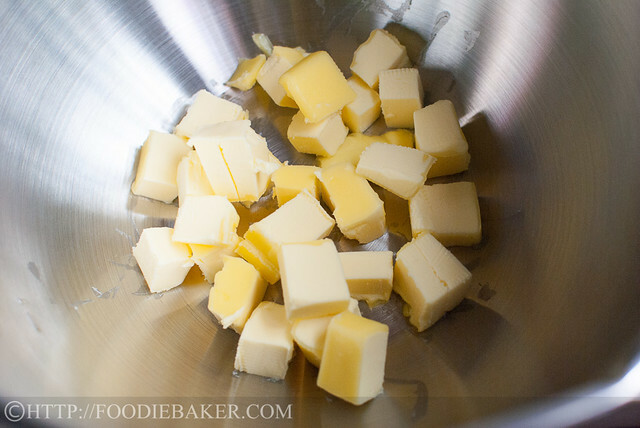 Beat the butter and sugar with an electric mixer until light, pale and fluffy, about 5 minutes. Scrape down the sides of the bowl. Beat in the eggs, one at a time, adding the next one only when the previous one has been fully incorporated. Scrape down the sides of the bowl. 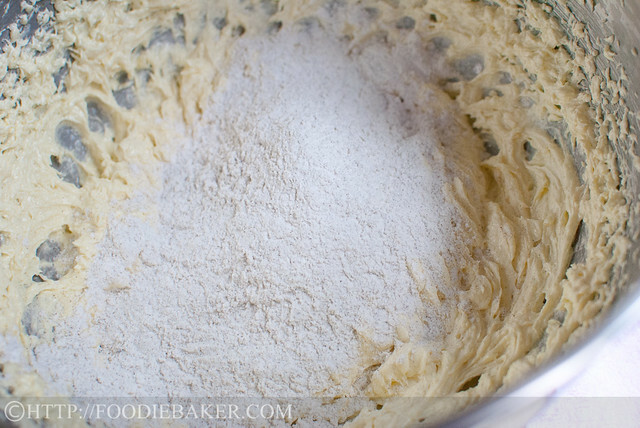 Sift in ⅓ of the flour mixture and beat it in on low speed until some pockets of flour remain. With the mixer speed running on low, add in ½ of the coffee-milk mixture in a slow, steady stream. Beat until fully incorporated. Sift in ½ of the remaining flour mixture and beat it in on low speed. Add in the rest of the coffee-milk mixture in a slow, steady stream, beating it in on low speed. 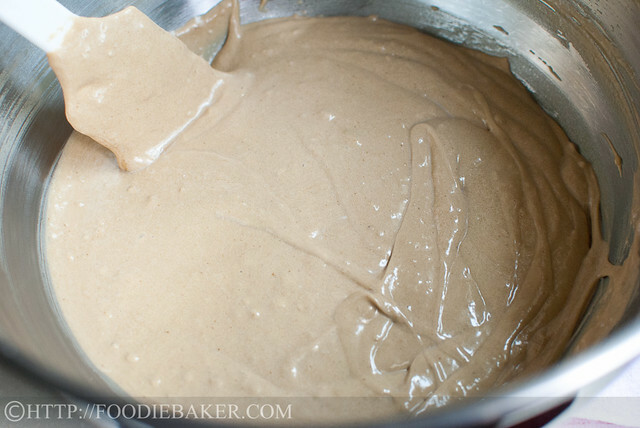 Sift in the rest of the flour mixture and mix until all the flour has been incorporated. 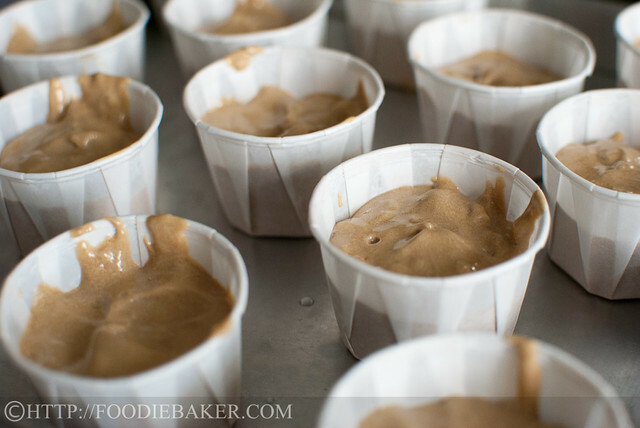 Spoon the batter into the cupcake liners until ¾ full. 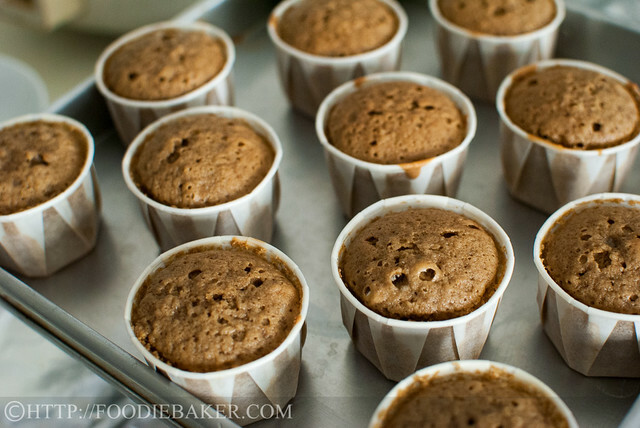 For cupcakes that require ¼-cup batter (regular-sized cupcakes), bake them for 20 to 25 minutes; for cupcakes that require ⅛-cup batter (mini-sized cupcakes), bake them for 18 to 20 minutes; until the cupcakes are well-risen and a skewer inserted into the centre of the cake comes out clean. Cool the cupcakes completely on a wire rack before frosting. 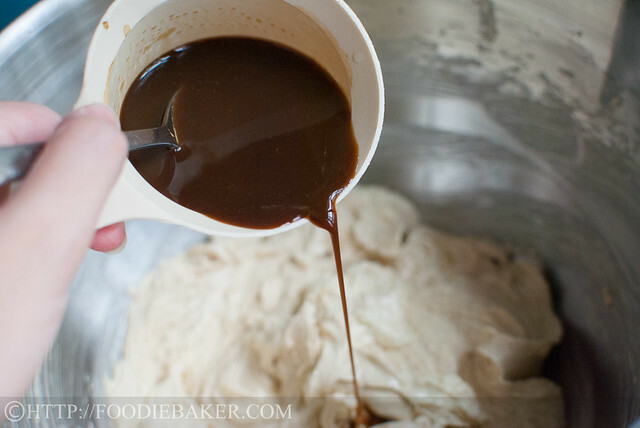 In a medium bowl, combine the butter, cocoa powder, 125 grams (1 cup) icing sugar and the dissolved coffee. Beat with an electric mixer until light and fluffy. Add in more icing sugar to suit your taste. Beat in the coffee liqueur and milk for a softer consistency. Frost as desired. My friend bought the instant Vietnamese coffee for me from Vietnam and I love it for its intense coffee taste. 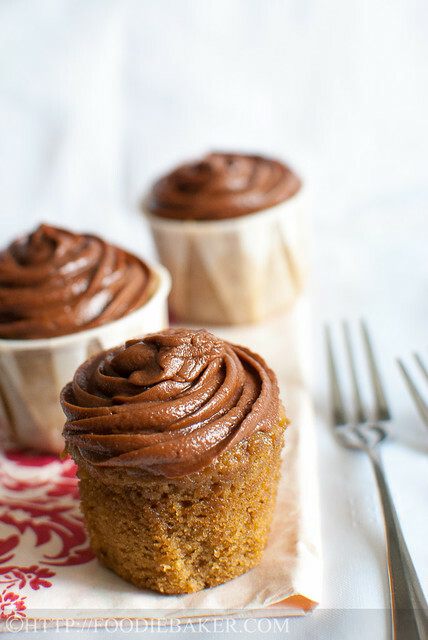 I used Vietnamese coffee all the way (even in the frosting), but you can swap the Vietnamese coffee with normal instant coffee, but be sure to grind them finely before adding into the cupcakes batter. When a recipe calls for strong brewed coffee, I’ll normally double the dose of coffee powder – e.g. if it is recommended for the ratio of coffee to water to be 1 teaspoon : 100 ml, I’ll use 2 teaspoons of coffee for every 100 ml of water to make a strong, brewed coffee. I found the frosting a tad too sweet for me with 175 grams of sugar, but the cake is not very sweet, so the two still complemented each other quite well. Do remember to taste the frosting as you go so you know when to stop adding the icing sugar. Thank you Jeannie 🙂 I love coffee-flavoured cupcakes too! These look yummy! 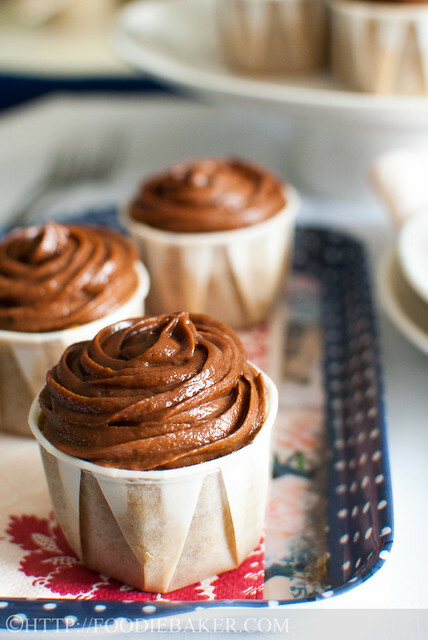 I’m obsessed with coffee in every way, so I’ll definitely take it in my cupcakes, thank you very much. 🙂 The frosting is piped so beautifully too. P.S. I really like you’re moving heart “Pin It” button. How’d you do that?! These cakes look so light. I made coffee flavoured cake once and it turned out a bit dense. Need to try your recipe soon. Your frosting is so pretty! I always screw up my frosting. How did you make such a pretty frosting? That’s so nice of you. Still, I bet that Villy will be eyeing mine!!! I like the paper cups your cupcakes are baked in. I just get those flimsy pleated cupcake liners designed to fit into the muffin/cupcake tins which don’t have a lot of body to them but I guess they don’t really need to. I just noticed that you weren’t using the tins but just regular baking sheets. Thank you! Actually I’ve never really drank a cup of traditional Vietnamese coffee before, hope I’ll get to visit Vietnam soon and drink a cup there! Awww you flatter me, you’re so sweet! Thanks! Thank you for the compliments Sonia, the Vietnamese coffee can be substituted with normal coffee, they’d still be delicious! Hi Esther, thank you for your compliments 🙂 You have a very lovely blog as well, I’m glad I managed to chance upon your blog! Have a great week ahead! Thank you for the compliments Jo! 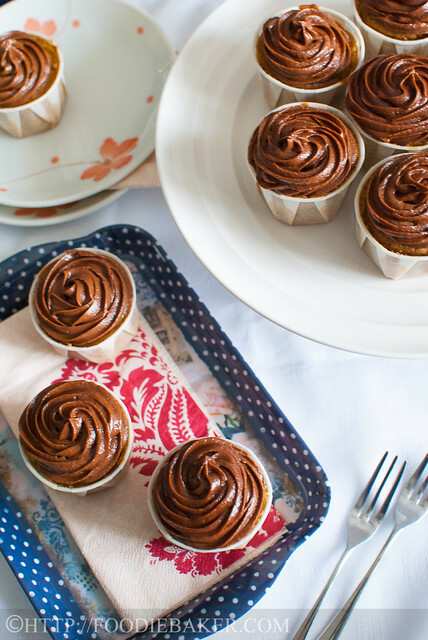 The coffee flavour really stood out and that’s what I loved about these cupcakes! I think the reader problem is because I moved my blog to a new host and as it’s no longer connected to wordpress.com, all the subscriptions we’re lost 🙁 if you’d like, please re-signup at the “Foodie Follow” on the right side bar! 🙂 thanks a million! i havent been seeing your posts on my wordpress reader. wonder what went wrong. anyway, these cupcakes looks beautiful! Lovely piping! 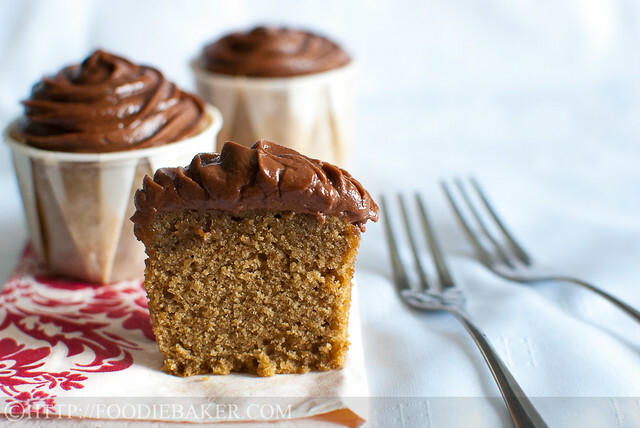 I love coffee baked goods!I can imagine that the mocha frosting would go so well with the coffee cupcakes. What pretty little cakelets! I love coffee and the Vietnamese flavor is intriguing! I must try to find some so I can make these. I have the same problem with piping a buttercream! Never know there is instant Vietnamese coffee otherwise I sure buy some during my trip to Vietnam . Your cupcake look so nice and good . I adore anything to do with coffee so I would happily scoff these! Unless Villy gets there before me! I don’t know what vietnamese coffee tastes like but if it’s as tasty as those cupcakes looks … I bet you’ve got a winner of a sweet treat. And I love the piping of your frosting. I’m 56 and have NEVER made let alone piped a buttercream. I’m not a big cake eater as I’m more likely to make cupcakes which I can freeze. I’m curious whether the buttercream freezes well. They look pretty, they look delicious, and I want a dozen now to go with my afternoon coffee!